ISTANBUL, TURKEY. 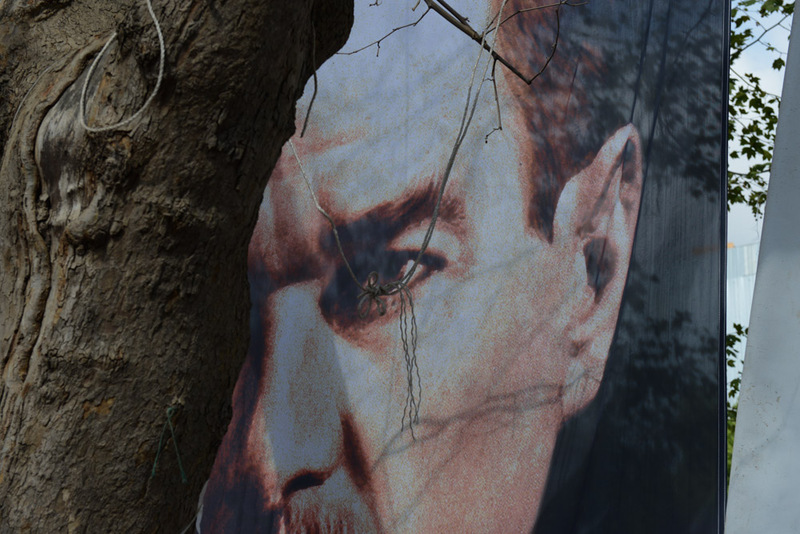 A fragment of a poster of ataturk is seen in Gezi Park after 12 days of occupying the park after police retook the adjacent Taksim Square but left demonstrators in the park on June 13, 2013. Turkish Prime Minister Recep Tayyip Erdogan has offered a referendum on the park to residents of Istanbul, despite there being no law allowing for such practices, and telling demonstrators to evacuate the park as patience with the demonstration is over.